Most Romantic Hotel - Taj Lake Palace. Formerly a royal pleasure palace, here can you stay in a Maharana’s suite in a grand all-white palace that floats upon India’s glimmering lake city. Days are spent watching the Bougainvillea sway in the breeze, taking a boat out on the lake at sunset, watching the sunrise over Udaipur City Palace and enjoying an evening performance by mysterious Indian dancers. Best Eco-Friendly Lodge - Sal Salis. 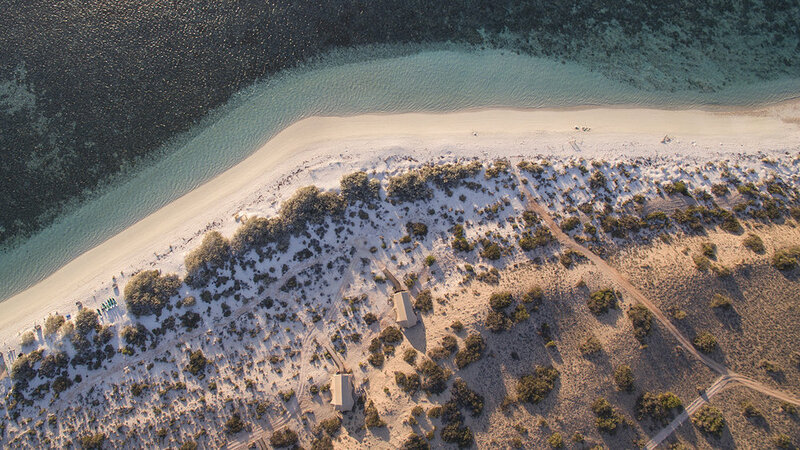 Make no mistake, getting off-grid at Sal Salis by no means a compromise in luxury. This tented camp runs on solar power, rations water and has no internet or cell phone reception but you’re met with sumptuous living quarters, gourmet cuisine and warm hospitality. With the Ningaloof reef right on your doostep, an abundance of pristine coral, opportunity to swim with the Whale Sharks and Humpback Whales you’ll soon forget what emails are and start plotting how to extend your stay. Best Hotel Bar - Jackalope. The hotel’s bar Flagerdoot is a draw card for not only guests but for Melburnians near and far. The space combines classic herribone flooring with modern art installations and furnishings and feels cool without being over-crowded. The alchemists behind the bar serve up the classics but also have fused ingredients such as guava, coriander and chipotle to create cocktails that are surprisingly oh-so-right. Best Hotel Restaurant - Pretty Beach House. Dining at Pretty Beach House is less like visiting a restaurant and more akin to having a personal chef. Chef can serve up whatever you’re in the mood for, when you like it (there’s even a pizza oven for those late night munchies). Gnocchi with burnt butter and sage melts in the mouth, and vegans, gluten intolerant and FODMAPS are celebrated here rather than an afterthought. Best Hotel Bed - Six Senses Yao Noi. Not only is this the bed of our Pinterest dreams, it’s also a key part to Six Senses sleep program. With a mattress designed by our friend The Sleep Doctor Michael Breus, it comes clad with organic linens and pillows and you can even have a sleep assessment at the hotel which assesses your quality of sleep and tailors a program to help you wake up fresh. Best Experiential Lodge - Amansara. The history on this property alone is enough to visit Amansara as it was formerly a guest lodge for the king of Cambodia and once played host to Jackie O’Nassis. Now the lush resort offers guest pure tranquility in the heart of Siem Reap. Equipped with expert guides, guests are given insider access to prolific temples such as Angkor Watt and at your disposal is a manned tuk tuk to take you exploring through the nearby town and sights. Best Hotel Service - Aman-i-khas. Your batman at Aman-i-khas is your personal attendant throughout your stay and goes above and beyond for a flawless experience. He surprises you at every turn - magically appearing at the end of a hike on top of a hill at sunset with canapés or a picnic laid out in a historic fort during a tour. However it was the smaller gestures that showed their attentiveness to guests’ comfort - a small hole in a shirt was expertly mended during laundry service and we were always served extra portions of our favourite treats. Our Batman, Bijouy, was simply outstanding and was the heart and soul of our stay at Aman-i-khas. Best Bed & Breakfast - Cape View Clifton. 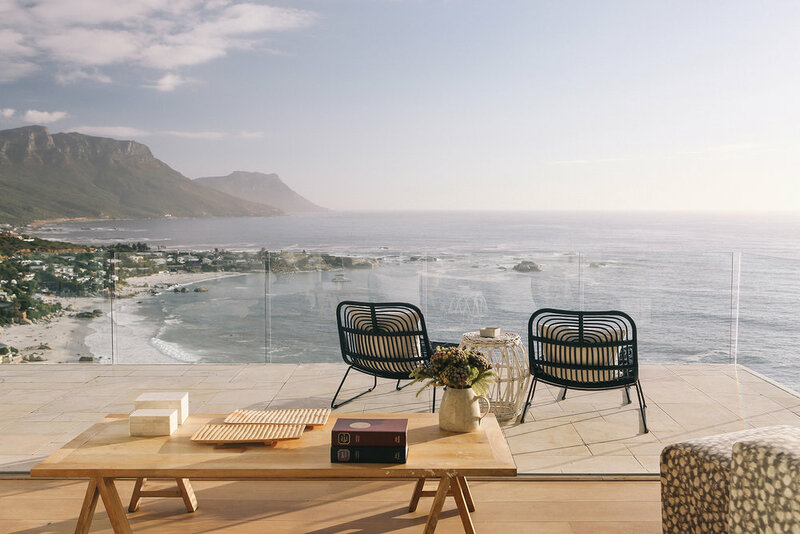 This chic guesthouse has breathtaking views over Cape Town’s ritzy Clifton Beach which left us quite gobsmacked. With an infinity pool, and chef who cooks up a delicious changing breakfast morning each day, we loved how guests had the luxury of a hotel with the privacy of a B&B. Best Hotel Suite - Ivory Lodge, Lion Sands. By far, one of our favourite lodges for the year, the recently renovated Ivory Lodge is an architectural masterpiece that has, in our opinion, perfected the hotel suite. Cooling concrete floors are met with panoramic glass windows that look over a river filled with hippopotamus. Furnishing are comfortable, yet chic and sliding wooden doors soften and accent the industrial aesthetic. There’s a sliding window for pre-game viewing snacks to be discreetly left in the morning, an open mini bar and the room is stocks with binoculars, a plunge pool and a huge indoor and outdoor bathroom. Needless to say, you are not wanton for anything during your say at Ivory Lodge. 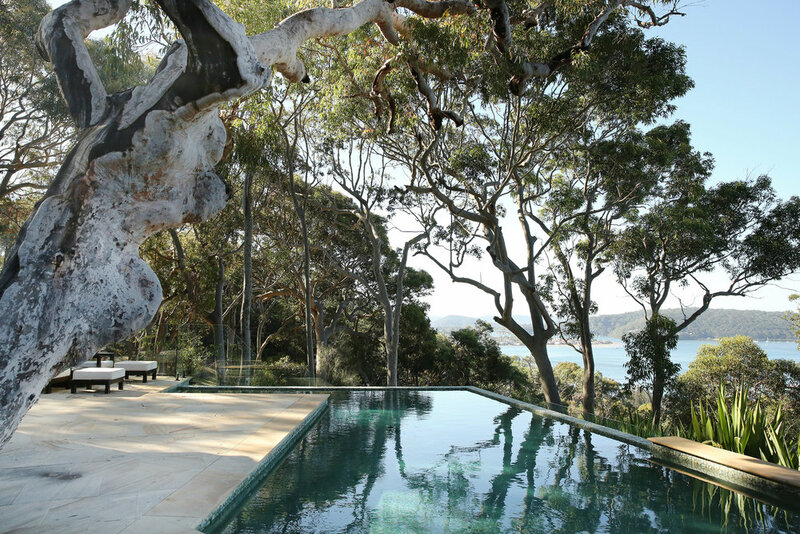 Best Hotel Pool - Emirates One&Only Wolgan Valley. Billowy cabanas surround a glimmering infinity pool that overlooks unobstructed views of the Blue Mountains. It’s one of the few communal pools that will have you getting out of your villa’s private plunge. Best Hotel Breakfast - Soneva Kiri. We’re not generally huge fans of a buffet breakfast but Soneva Kiri really over-achieves with their morning spread. Theres' a raw juice bar where you can whizz up your own cocktail of sprouts, nuts, fruits and veg and healthy options are in abundance - cooked-to-order almond pancakes are a standout. There’s a nourishing noodle soup station, a deli with house-smoked meats and cheeses and the biggest selection of tropical and western fruits we’ve ever seen, ready to be cut fresh for your enjoyment. The best part is it’s ALL delicious - not a stale pastry or soggy bacon rasher in sight.